HELP OUR NEIGHBORS IN NEED! 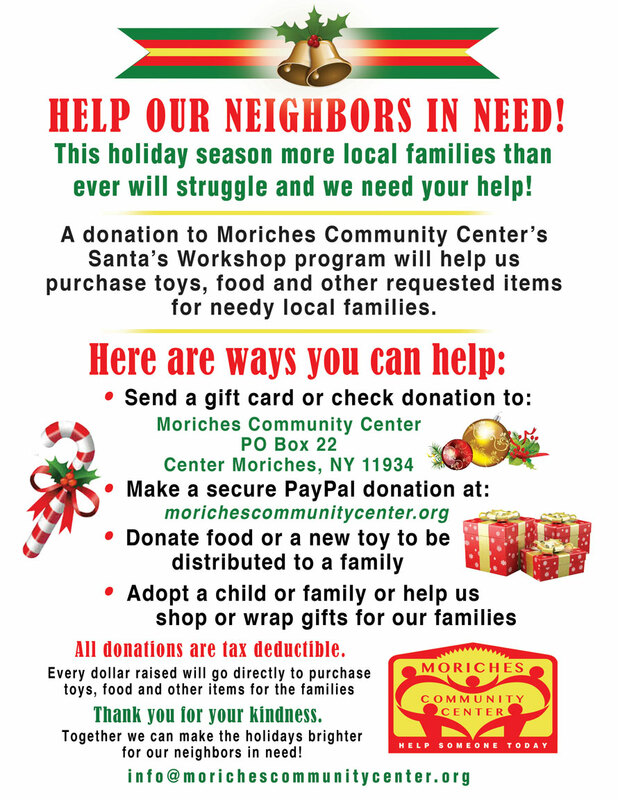 This holiday season more local families than ever will struggle and we need your help! A donation to Moriches Community Center’s Santa’s Workshop program will help us purchase toys, food and other requested items for needy local families. Every dollar raised will go directly to purchase toys, food and other items for the families. Thank you for your kindness. Together we can make the holidays brighter for our neighbors in need!